Our first impression of Fielding . . . is of a man with an enormous zest for living, spendthrift both of his money and his health. Despite his aristocratic origins, Fielding had experienced at first hand the appalling economic and social insecurity of an age that still retained an almost Elizabethan brutality and lack of inhibition. But his bodily vigour and appetite for life were allied with an intellectual energy and a generosity of spirit no less strong.​—​Walter Allen, The English Novel, p. 54. Picture source: Defoe's The Adventures of Joseph Andrews (London: George Bell & Sons, 1904), illustrated by ​George Cruikshank. The greatest of the eighteenth-century English novelists (and arguably “The Father of the English Novel”) was born on 22 April 1707 in Sharpham Park, near Glastonbury, Somerset, the rural English county which approximates the seats of Squire Allworthy in Tom Jones and Lady Booby in Joseph Andrews. Fielding’s life reads like that of one of his characters, oscillating between fame, fortune, and financial exigency. His father, a high-ranking officer in the British military, the charming but utterly irresponsible and financially feckless Lieutenant General Edmund Fielding, fought a bitter custody battle with eleven-year-old Henry’s grandmother when the boy’s mother died. Although the wealthy Lady Gould was officially his guardian, Henry continued to be influenced by his dashing, carefree father on visits to see him in London. Sir Henry Gould, Justice of the Queen’s Bench, according to his gravestone the “most prudent” of men, was forced to accept his daughter’s marriage to a dashing wastrel. Sharpham Park, Henry Gould’s country house, probably served as the inspiration for Paradise Hall in Tom Jones. Henry was the eldest child in the large family, including another future novelist, Sarah Fielding. The social class into which he was born, the landed gentry (consisting of landowners who lived entirely from rental income from their country estate), informs his perspective in his fiction. Another aspect of his life that resembles the plots of his picaresque novels is his youthful indiscretion of trying to abduct his cousin, Sarah Andrews in 1725 when she was on her way to church. He fled to the continent to avoid prosecution. At Leiden in southern Holland he began studying classics and law in 1728, but shortage of funds forced him to withdraw and return to London, where for the next decade he earned a living as a playwright. For the next few years he churned out farces and satires, many of them savaging the Whig government of Sir Robert Walpole. The Prime Minister counter-attacked with the Theatrical Licensing Act (1737) in order to forestall a production of The Golden Rump. Effectively barring political satire from the English stage by requiring the licensing of all plays by the Office of the Lord Chamberlain, Prime Minister Walpole drove Fielding out of theatrical writing entirely, forcing him to fall back on his legal practice in order to support his wife, Charlotte, and two children. In consequence of Fielding’s practising law, he earned a place in the annals of law enforcement by using his authority as a police magistrate to found the Bow Street Runners, the immediate predecessors of Scotland Yard’s Criminal Investigations Division. Although bent on prison reform and the elimination of public hangings, he did not advocate the abolition of capital punishment. His half-brother, John, was an equally effective magistrate and reformer​—​despite the fact that he was blind. Succeeding his older brother Henry as chief magistrate, John earned the nickname the “Blind Beak of Bow Street” because of his uncanny ability to recognise the criminals who appeared before him based​solely on their voices. 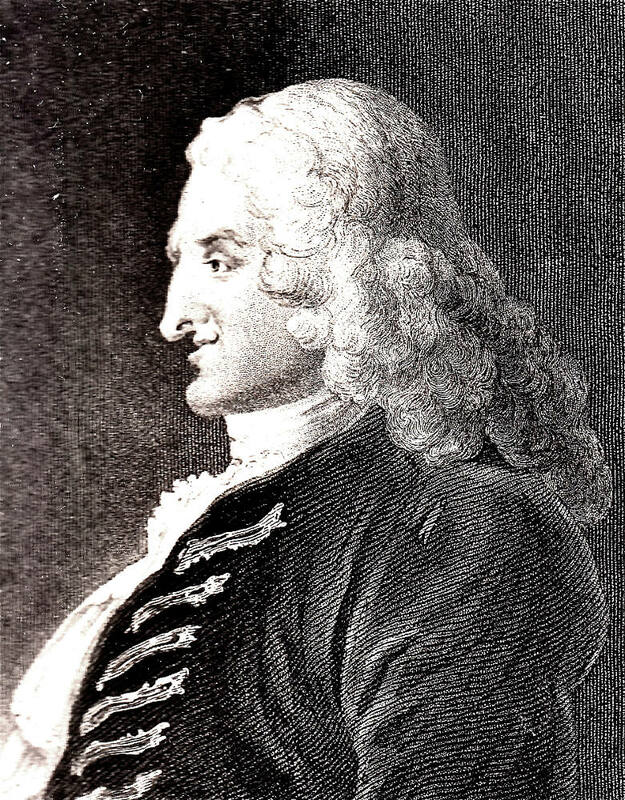 Although a Whig himself, Henry Fielding opposed the Whig administration through his frequent although anonymous contributions to the prominent Tory periodical The Craftsman. In his criticism of Walpole he was allied with his boyhood friends from Eton, William Pitt (1708–1778, first Earl of Chatham), and George Lyttleton (1709 –1773), both supporters of Lord Cobham (Richard, Earl Temple), leader within the Whig faction known as the Cobhamites. Despite his vigorous criticism of the bribery and corruption of the Walpole administration and his publishing in a Tory journal, Fielding remained a thorough Whig, and consistently wrote the praises of such Whig leaders as Sir John Churchill, the Duke of Marlborough, and Gilbert Burnet. Ironically for one who was so astute a judge of human nature, Fielding utterly mismanaged his financial affairs to such an extent the he and his family suffered bouts of poverty. Consistently, however, he was assisted by the wealthy Ralph Allen (1693-1764), an entrepreneur and philanthropist who made his fortune from reforming the British postal system. Allen, who served in part as the model for Squire Allworthy in Tom Jones, provided financial support and funded the education of Fielding’s children after the writer’s death in Lisbon, Portugal, where he had gone in 1754 in search of a cure for his gout, asthma, and cirrhosis of the liver. Miscellanies – a mixed genre collection of works (1743) which includes the poem "Part of Juvenal's Sixth Satire, Modernized in Burlesque Verse"
Battestin, Martin C., and Ruth R. Henry Fielding: A Life​. London: Chapman and Hall, 1989. "Life and Works of Henry Fielding." Henry Fielding's The History of the Adventures of Joseph Andrews and His Friend Mr. Abraham Adams (1751). Illustrated by George Cruikshank. London: George Bell, 1904. Pp. i-lxxxiv.